Australians are a nation of steak lovers. 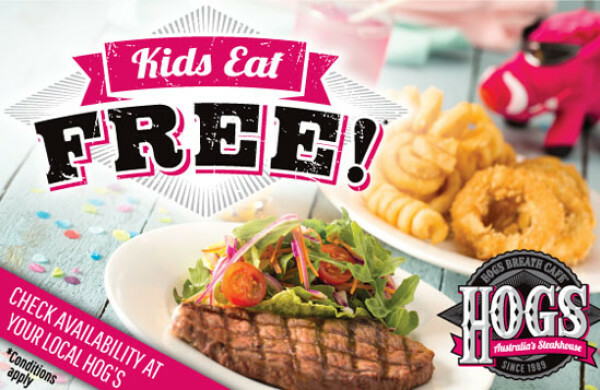 Whether you're craving a mega cut prime rib steak or a something lighter, enjoy the famous hogspitality in a lively and upbeat diner environment at Hog's Australia's Steakhouse. There's something for every age group from cocktails for the adults to chicken nuggets for the kids or why not grab a take away lunch and explore our region with lunch safely in hand? Steak not your thing? No worries, with plenty of options on offer including seafood, tasty chicken, creamy pastas, fresh salads and burgers you are sure to find something to suit everyone. Dining at Hogs Breath means having fun and enjoying yourself in a relaxed and quirky atmosphere, first time visitors will marvel at the unique and eccentric memorabilia that adorn (completely cover!) the walls. Located on Albany Highway, Kelmscott, the restaurant is ideally suited for a visit before exploring Roleystone or for dinner after a full day spent chasing experiences in the hills.